A DWI or DWAI will have major consequences in many different aspects of your life. If you have been arrested or charged with an alcohol-related offense, a defense lawyer can be instrumental in protecting your rights. 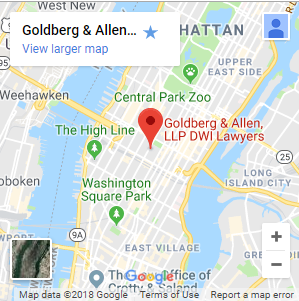 We are the New York City attorneys of Goldberg & Allen. 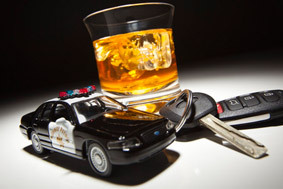 Our lawyers strive to educate our clients about the various consequences of DWI and DWAI. Below describes the current penalties associated with some of the more common DWI and DWAI charges. Enhanced penalties apply to commercial driver’s license (CDL) holders and those convicted of Aggravated DWI. In addition to the fines, incarceration, ignition interlock device and license revocation, you will have to pay a number of additional fees and surcharges. For example, you will have to pay a Driver’s Responsibility Assessment for three years after your conviction. You will have to pay to attend a Drinking Driver Program (DDP). You will have to pay a fee to restore your driving privileges. You may have to pay money to the Victim’s Impact Program. In addition, you will pay higher auto insurance rates upon a conviction. With everything that is at stake, it is important to take every opportunity to protect yourself. Our lawyers will make a powerful defense to your allegations. DWI penalties can be extremely severe. Our attorneys have helped many New Yorkers avoid some or all of these penalties. To schedule your free consultation, call 212-766-3366 or contact our law firm online.